February is the perfect month to be planning for the coming gardening season. As you pour through seed and plant catalogues, think about adding few extra plants to attract and feed pollinators in your garden or on your balcony. 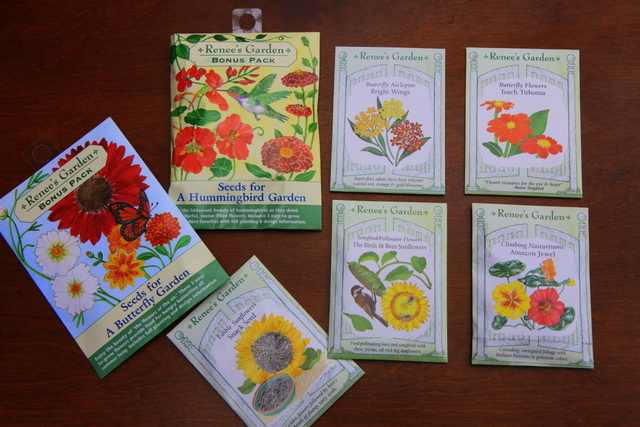 This year’s selection of Renee’s seeds offers many pollinator favorites, or pollinator magnets, as I like to refer to them. Pictured above are just a few selections, including one of my all-time favourite annuals, Mexican Sunflower aka Touch Tithonia (Tithonia rotundifolia) . Those who attended last September’s Garden Open will remember this stunning annual as a show piece in the mixed border. 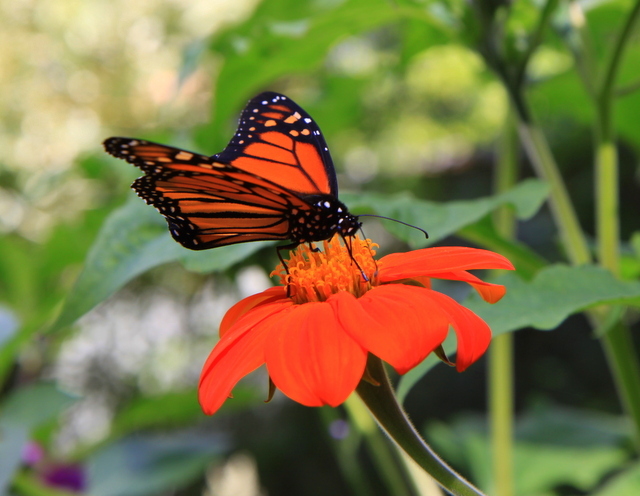 And who could forget the Monarch Butterflies that were enjoying a drink of nectar from this brilliant orange blooms. Please shop early for the best selection. Our shipment of Organic Urban Harvest Seeds will also be arriving in the next few weeks.